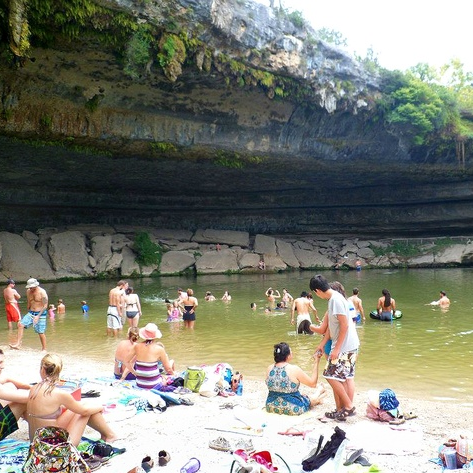 Summer is in full swing, which means it's time to plan a trip and take a dip in one of Austin's best swimming holes. 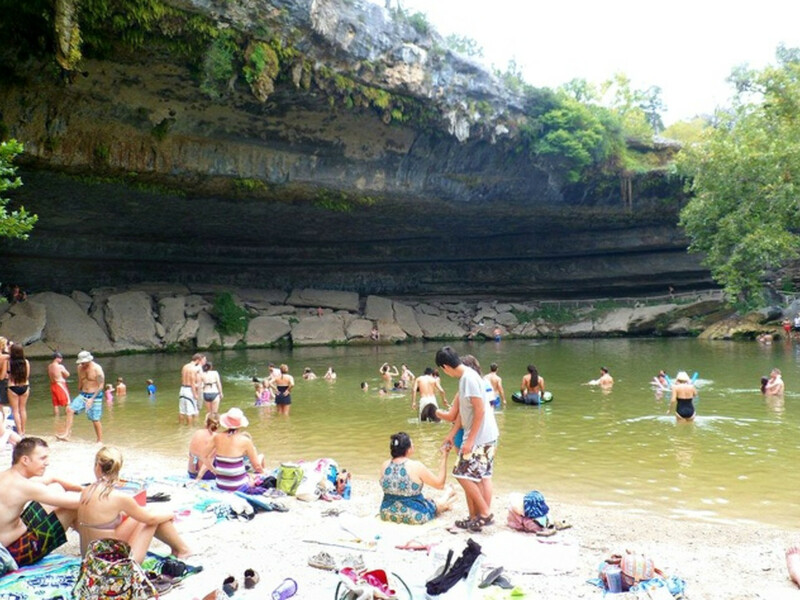 We've created a guide to 12 of the best swimming holes in Austin and Central Texas. 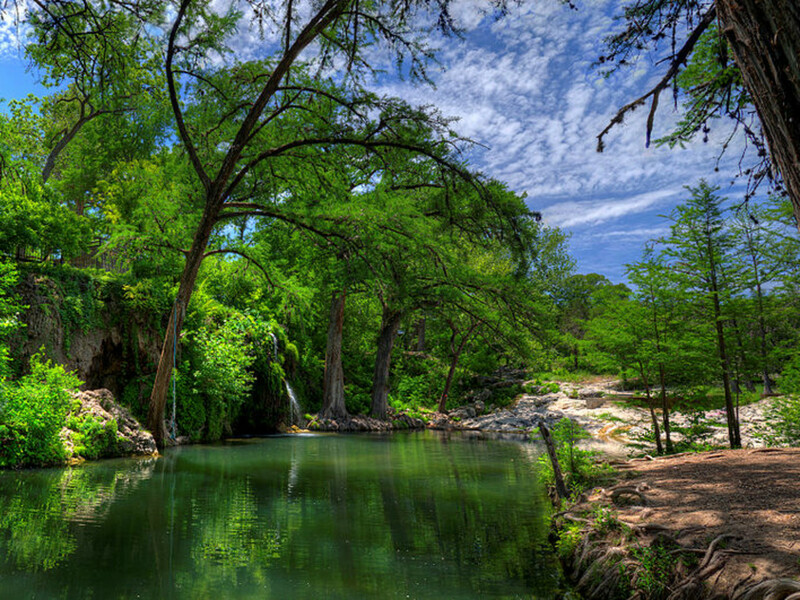 No list of swimming holes would be complete without Barton Springs, the refreshing sanctuary in the middle of the city. Whether you're looking to get in a few laps or lay out in the sun, this gem is a convenient getaway. Tip: Come at night between 9-10 pm, when admission is free and the pool is less crowded. That means more opportunities to jump off the diving board. 2201 Barton Springs Rd. Open year-round; summer hours are 5 am-10 pm, with limited hours on Thursdays. Cash only; $3 for adults, $2 for ages 12-17, $1 for ages 11 and under, $1 for seniors. No food or drink allowed. Lifeguard. More info here. 401 Deep Eddy Dr. Open year-round; summer hours are 10 am-8 pm, closed Tuesdays. Cash only; $3 for adults, $2 for ages 12-17, $1 for ages 11 and under, $1 for seniors. No food or drink allowed in pool area. Lifeguard. More info here. More than 800 acres between Zilker Park and the "Hill of Life" is yours for the taking. 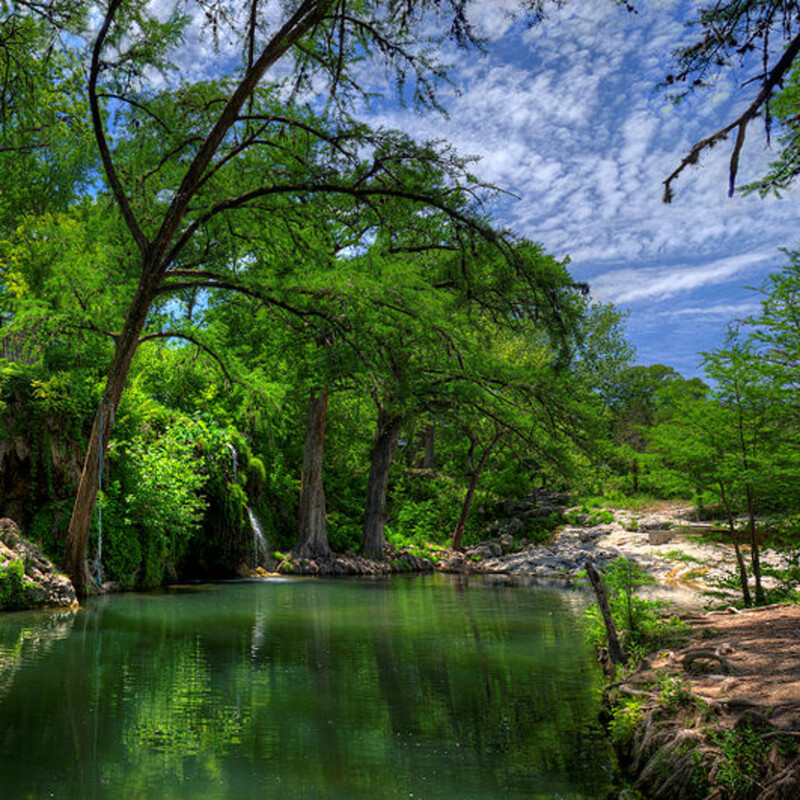 Hiking, mountain biking and rock climbing are fun activities, but when it gets too hot, take a stroll along Barton Creek and find a nice little spot to go for a swim. Best picks for swimming are along the Gus Fruh trail and east of the Loop 360 access point. If you have little ones, there are plenty of shallow areas where the kiddos can splash and wade. 3755 Capital of Texas Hwy (Loop 360 access). Open daily, dawn to dusk. Admission is free. Food and drink allowed; no glass (and please take your trash back with you). No lifeguard. More info here. This technically isn't a "swimming hole," and it's not very "secret," either, but Secret Beach is a must on this list. In the ​Roy G. Guerrero Metropolitan Park park along the Colorado River you'll find a sandy spot that's perfect for posting up and lounging. If tubing is your thing, you can also plan a leisurely float down the river. This little spot is dog- and kid-friendly. 400 Grove Blvd. Open daily; 5 am-10 pm. Admission is free. Food and drink allowed; no alcohol or glass (and please take your trash back with you). No lifeguard. More info here. 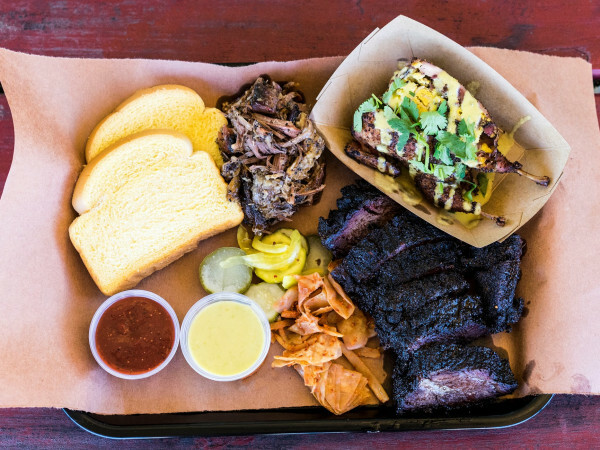 In Southeast Austin you'll find this amazing state park. If you're in the mood to explore, there are plenty of trails to wander along and a handful of historical sites to visit. When it's time to cool off, relax in the shallow areas or scope out places that are deep enough for a full dip. 5808 McKinney Falls Parkway. Open daily, 8 am-10 pm. Cash preferred; $6 for adults, free for ages 13 and under. Food and drink allowed. No lifeguard. Camping allowed. More info here. Nothing beats the summer heat like taking off your clothes — perhaps all of them. This "clothing optional" beach on Lake Travis will force you to leave your inhibitions behind. This is our No. 1 pick for sunbathing (obviously). Entry allowed for those 18 and older only. 7000 Comanche Tr. Open daily, 9 am until dusk. Cash only, $15 per vehicle. Food and drink allowed. No lifeguard. More info here. The Blue Hole in Georgetown is technically a bend in the San Gabriel River, just minutes away from the city center. A steep cliff overlooks the warm, deep water and long, rocky banks. This is an ideal spot to set up camp for the day or bring an inflatable raft to lounge along the river. Make sure to bring sunscreen and perhaps a beach umbrella, because shade is very limited. West Second Street and Rock Street, Georgetown, Texas. Open daily, dawn to dusk. Admission is free. Food and drink allowed, no glass containers. No lifeguard. More info here. Head west through the Hill Country to find this lush wonderland. There are 32 springs and two pools for swimming as well as one magical butterfly garden for exploring. If a single day in this enchanting place isn't enough, we suggest camping for a night or two. 404 Krause Spring Rd., Spicewood, Texas. Open daily, 9 am-9 pm. Cash only; $7 for adults, $5 for ages 4-11, free for ages 3 and under. Food and drink allowed, no glass containers. No lifeguard. More info here. Jacob's Well is a wonderful place to swim, even with a few big, new changes. In order to protect the area, there are now admission fees and restricted swimming hours. Plan ahead, because you must reserve a two-hour slot for swimming via the Hays County website. Only 300 people will be allowed to swim per day. 1699 Mt. Sharp Rd., Wimberley, Texas. Open daily, 10 am-8 pm. 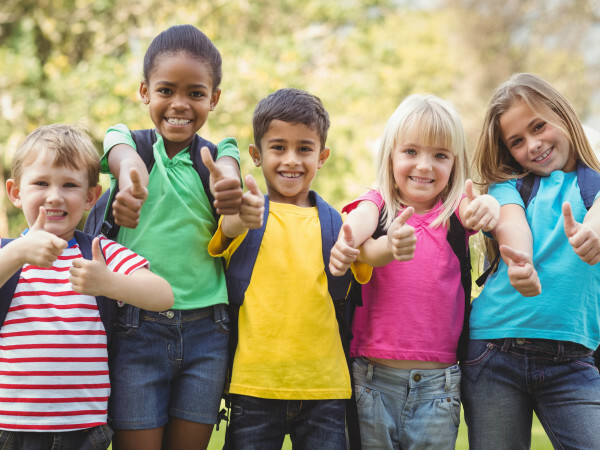 $9 for adults; $5 for Hays County residents, children ages 5-12, active military and veterans; free for children 4 and under. Food and drink allowed, no glass containers. More info here. The Blue Hole in Wimberley is a swimmer's delight. This shady oasis offers plenty of deep water for swimming or jumping off rope swings as well as a current that's just right for a lazy float on an innertube. For the younger ones, there's a large lawn area where kids can run around and play. 100 Blue Hole Rd., Wimberley, Texas. Open daily, 10 am-6 pm. Cash only; $9 for adults, $5 for ages 4-12 and 60 or older, free for kids under 3. Food and drink allowed, no glass or alcohol. No lifeguard. More info here. This park is an exceptional island-like gem surrounded by Lake Travis. For those with swimming in mind, the east side of the park has the most accessible beaches. Boating is very popular here, so we suggest checking out Mudd Cover and Gracy Cove, which are swimming-only areas. 2201 N. Pace Bend Rd., Spicewood, Texas. Open daily, dawn to dusk. Cash only, $10 per vehicle. Leashed pets allowed. Food and drink allowed, no glass containers, no smoking. No lifeguard. Camping allowed. More info here. This picturesque lagoon is fed by a small, sprinkling waterfall. There's a 10-15 minute walk down to the pool, so bring appropriate shoes. Arrive early: A limited number of folks are allowed in. Note: Warm weather can cause bacteria levels to be too high for swimming, so call 512-264-2740 before you go. 24300 Hamilton Pool Rd., Dripping Springs, Texas. Open daily, 9 am-6 pm, no entry past 5:30 pm. Cash only, $15 per vehicle. Food and drink allowed, no glass containers. No lifeguard. More info here.